It's been a very busy week. It was filled with a day at Ripley's Aquarium, four days of Canada Reads and a Toronto Maple Leafs game. Needless to say there wasn't much time for reading and with Mini JG's third birthday tomorrow, the weekend won't be any different. 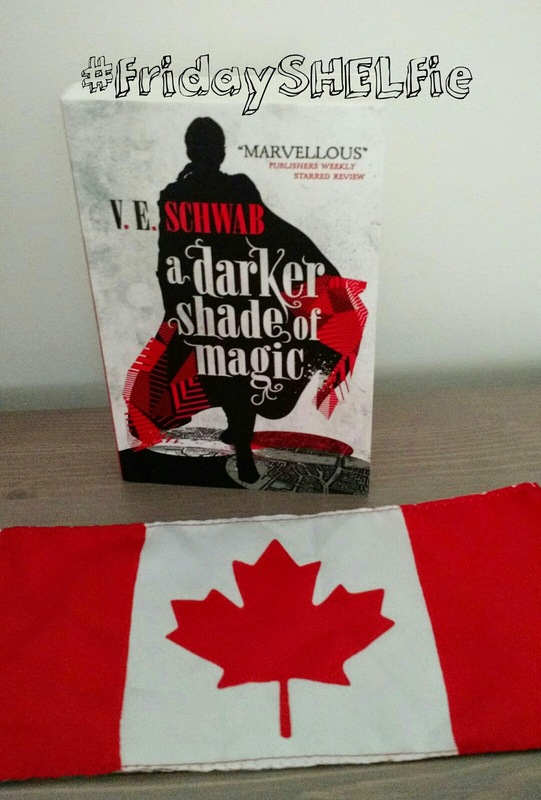 This weekend, I'm hoping to find some time to finish A Darker Shade of Magic by V.E. Schwab. There has been so much buzz around this book and it went into its second printing almost immediately. I'm a few chapters in and I can already see what all the hype is about. A story filled with mystery and magical worlds. Kell, is one of the last Antari, magicians with the ability to travel between worlds. There hasn't been much action yet, but I can sense it building. What's on your weekend reading list?